If you work and/or volunteer for more than one iSpyFire agency, you can receive notifications for all, none, or a combination of them at the same time. The Notification Manager is only available to users who have the same email address (username) listed for their multiple agencies. 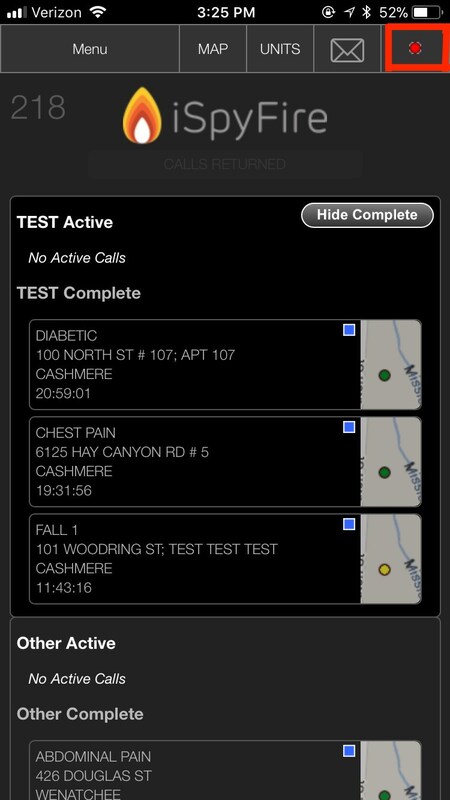 For users with multiple iSpyFire agencies you can now switch between your agencies quickly. 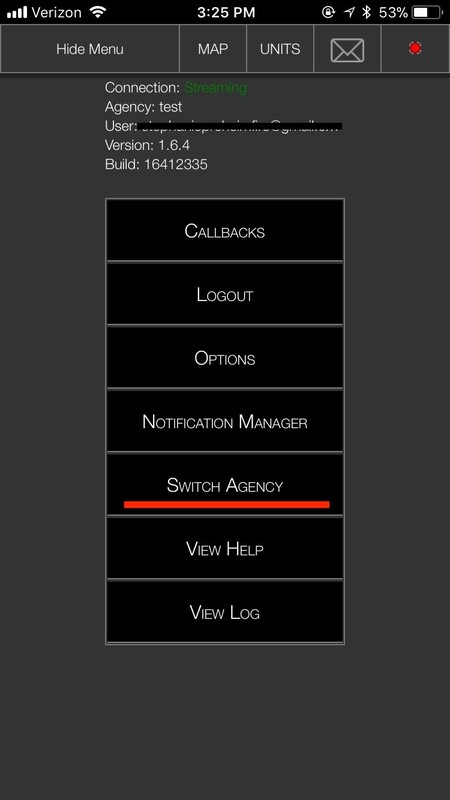 This is done under the options menu, select switch agency. This item will not show if you don’t have other agencies you belong to. You'll need to use the same email address (username) for each agency for this feature to become enabled.